Need to please a venue full of lucky brides to be? Sorting through all those white dresses and tasting all that cake can sure build a thirst! With the Bridal Fair Drink Ticket, you'll have concessions covered. 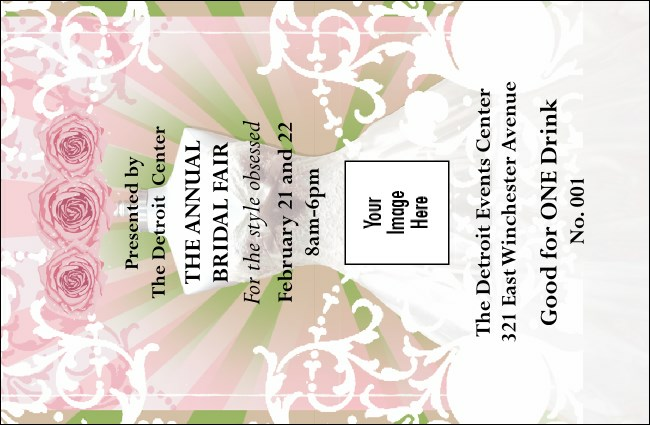 Each ticket template is printed in pink, green, and white and features images of a roses and a glamorous gown. Your expo + TicketPrinting.com = the perfect union!